Fat Quarter Shop has published a book by Gerri Robinson of Planted Seed Designs. 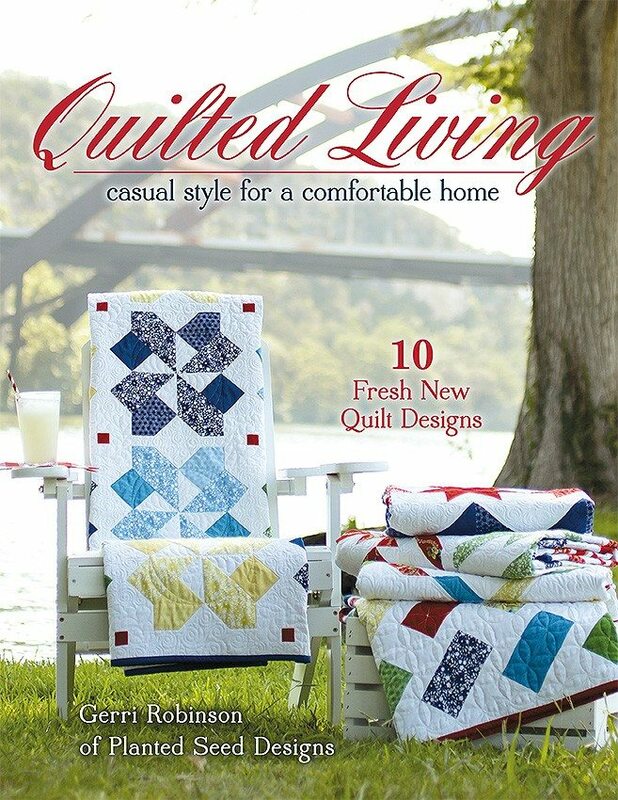 Quilted Living – casual style for a comfortable home has 10 fresh new quilt designs. 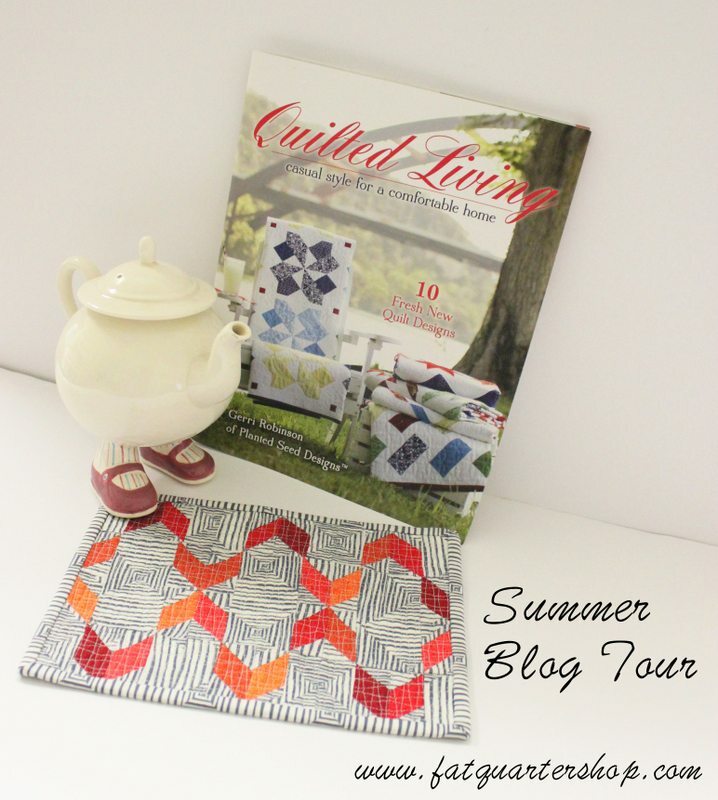 Gerri has used her new collection, Summer Cottage for Red Rooster fabrics to make these summery quilts. 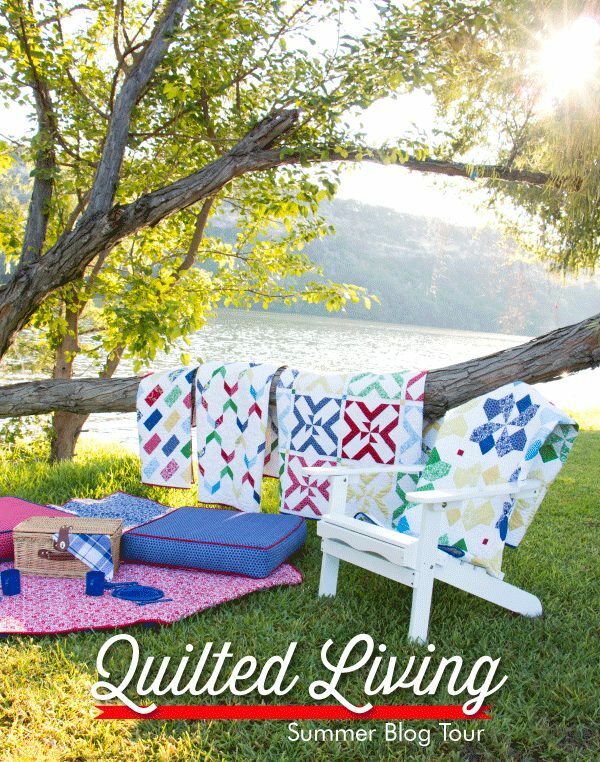 Full of stunning quilts photographed in beautiful settings, this book is a must have for the beginner to the experienced quilter. My favourite quilt in the book is Streamers so I made a mini version of the block which resulted in a caffeine carpet (mug rug). I used Kate Spain fabric for an interesting background and Moda rustic weave for the streamers. Visit The Jolly Jabber to read about the tour and be in the draw for some great prizes. Quilted with Aurifil In Love with Dove 2600 50wt cotton thread. The book can be purchased at Fat Quarter Shop or on Gerri’s site. P.S my lovely friend, Penny Barnes did most of the quilting for the book. I like your color choices for the Streamers quilt. 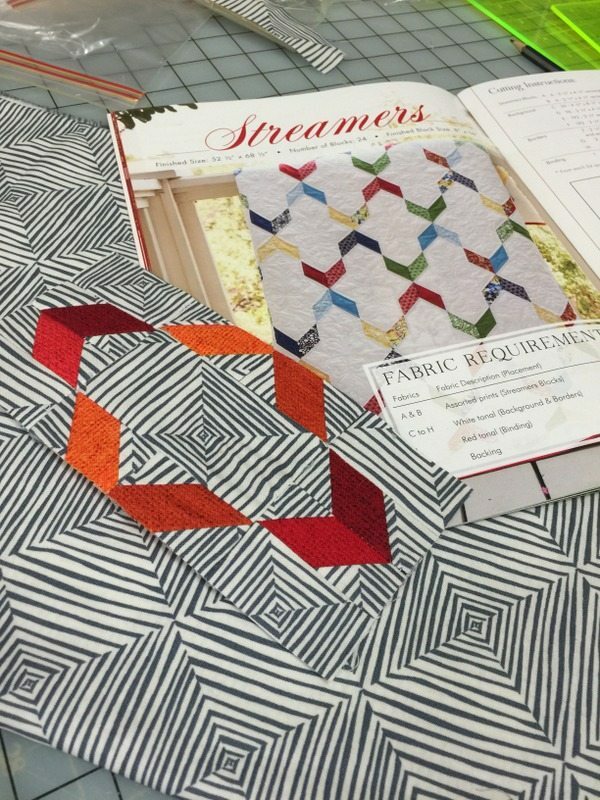 Streamers is my favourite quilt from this book too. I really like your fabric choices for Streamers. The red just pops on that great background fabric. Thank you Maureen. The reds and oranges are my favourite solids for grey backgrounds. Love the way you used the stripe fabric! Thank you Janet. I like backgrounds that move. I love the background fabric you used. It makes the pattern feel so different! Thanks Jen, I love using a background that looks like it is moving. It forms so many different patterns. I love your interpretation of this pattern. How creative to make it smaller. That is perfectly beautiful! This is what I’d love to make! Thank you. It’s a great pattern to make. Wow! Your Streamers block is stunning! I would never have thought to use the stripes for a background, but REALLY like! You did a fantastic job! Thanks for sharing.